Setting up an online business includes lots of challenges and one of that is generating traffic to your site. While the fastest way to jumpstart your traffic flows is by spending money on Adwords, you may not have the budget and your only option is to look for free methods to drive traffic for your site. How sweet it is to have more traffic for your site without spending a single cent. Yes, it is possible to generate traffic using only free methods; all you need is the proper mindset and a lot of eagerness. You also must have the drive and perseverance to do hard work and research to generate more traffic for your site. In essence, it takes time and effort before you can gain a free but profitable traffic to your site. You do get better chances by paying for your Adwords and other paid advertisements, but again if you don’t have the budget you will at least get a fighting chance with some of the following free methods. Take advantage of online forums and social network sites. The great advantage about these sites is that you can target a certain group that fits the certain demographic that you are looking for. You can freely discuss about lots of things about the niche that you represent or offer. By socializing in forums and social sites, you are building a reputation for your company. You are showing them what you are made of and may also impress them with your range of expertise about the subject. You will eventually build a reputation and build trust with the people in your expertise and knowledge. One important thing to remember is don’t blatantly advertise in these sites as it may cause the suspension or deletion of your account. You must adhere to the rules and policies these sites may have. There are bloggers that allow and even offer posting of your articles. If you can agree with them then write a really compelling article which includes a linkback to your site. Interested readers of that blog may follow your link and will look around on what other information you may offer. With thousands of blogs being visited by information seekers, you may get a share of traffic by commenting on highly trafficked blogs. Just make sure that your comment is relevant to the post topic and useful to the blog’s readers. You can also take advantage of newsletters. Provide people with interesting and entertaining articles and even provide them a catalog of your products. More people will sign up for your newsletter and recommend it to other people if they find it really interesting and entertaining. The more people who signs up for your newsletter, the more people will likely visit your site thereby increasing your traffic. Another great idea is exchanging links with other sites. With exchanging links, the efforts both webmasters do will benefit both sites. Aside from the PR points that both parties may gain, traffic that goes to the site could potentially click on the link of your site and visit your site as well. This method of generating free traffic works well especially when both sites feature the same niche. You can draw some traffic by joining and submitting your blogs to traffic exchange sites and free adboards. Be careful though when submitting sites that contain your adsense as it is against Google’s TOS. The best way to remedy this is by creating a landing page or a splash page to serve as your window page in traffic exchange sites. It is important to optimize your keywords because most search engines track down the keywords and keyword phrases your site uses and how they are used. Generally, internet surfers use search engines to find what they are looking for. Search engines in return use keyword searching in aiding their search results. With the right keywords, you could get high rankings in search engine results without additional costs. Perhaps, the best way to draw and retain traffic to your site is writing good content. It isn’t necessary that your content is written by a professional. You could write your own but make sure that your article is entertaining, engaging, and informative. Try writing articles that will provide tips and guides to other aficionados. Writing articles that provide good service and knowledge to other people would provide the necessary mileage your traffic flow needs. There are more free ways of traffic generation that should be added to the above list but so far those are the best methods to drive more traffic to your site for free. All it takes is a bit of effort and time. 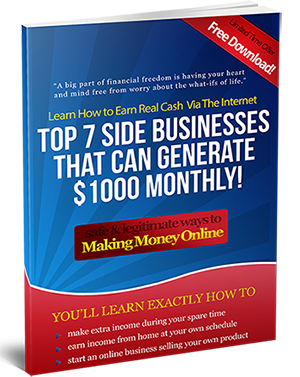 Learn all you can about the free methods suggested here and you will soon have a site with a great traffic flow without the usual costs that come with paid promotions. Thanks for the info. I have yet to go to social networking sites. Maybe it’s time to do so. Adwords is really good in driving traffic to your website. however, they are very strict right now and they would not easily approve websites that they thought have low quality content. I also use project wonderful and facebook advertising. Your blog was for sure a good read and I like to see quality writing on the internet based on alot of it is dupicate. I know that when your talking about content it is for the most part King in the case of making a webpage ranked and what not (most likely the reason I found this). I have managed some websites back when and am working on an internet mini sales marketplace kinda webpage made for people to logon and buy and sell services to other users. So I need to work on writing some blog content and other stuff on the web site and so forth. Anyway take it easy and keep handing out well written articles.